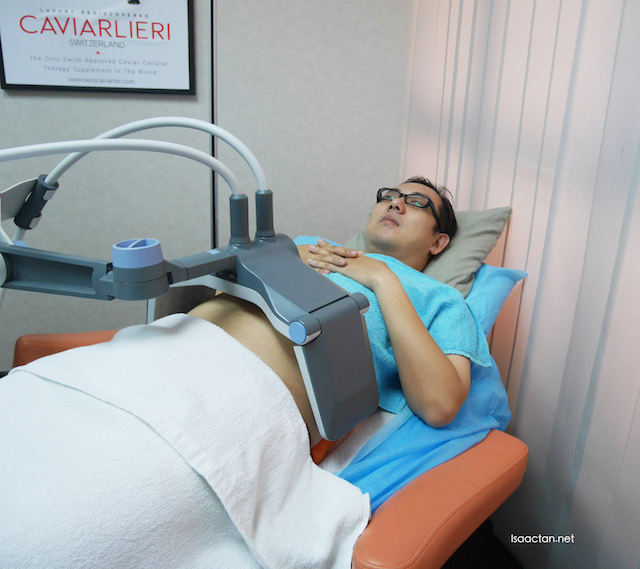 From my previous blogpost (Slimming BTL Vanquish Treatment @ En-hanze Aesthetic Clinic, Phileo Damansara - Part 1), I did mention I'll be explaining more on what the BTL Vanquish treatment is all about. This writeup will be to share on the science behind this state of the art fat-loss slimming treatment. Leading global brand BTL Aesthetics presents BTL Vanquish, the first non-contact, hands-free body contouring device in the market. Unlike other non-invasive procedures, BTL Vanquish is pain free and easy to operate. BTL Vanquish has been scientifically proven as a safe procedure and has been thoroughly clinically tested on the abdomen and thigh areas. The ergonomically designed applicator allows the physician to treat the abdomen area at once, with no need of using the various types of applicators. BTL Vanquish procedure is recommended for patients who have areas of unwanted fat and do not wish to undergo surgery or invasive procedures that demand longer recovery period. Using patented Selective RFTM technology based on real-time impedance tuning circuitry, BTL Vanquish device reduces fat without even touching the body. As a non-contact procedure, the device does not come in direct contact with the patient and thus significantly eliminates the potential adverse events which may result from the applicator and the skin layer contact. The groundbreaking design of energy delivery helps target the thermal effect into deep tissue while protecting surrounding layers. The treatment causes the natural death of fat cells (Apoptosis), proven by scientific research1. After a series of four 30 - 45 minute treatments, clinical studies demonstrate that BTL Vanquish procedure produces consistent visible and measurable results, with high patient satisfaction2. There is no pain associated with the BTL Vanquish treatments. Side effects are minimal and last only minutes to hours with no effect on daily life. The only thing required to prepare the patient for treatments is proper hydration. At the end of treatment series the patents experience a noticeable difference. BTL Vanquish is unlike other non-invasive devices that require multiple small treatment areas in the industry. There is no need of costly consumables and the treatment ensures a win-win situation for both patient and physician. BTL Aesthetics Malaysia is the home to the renowned global brand’s most revolutionary anti-ageing, body contouring, skin tightening, wrinkle reduction and anti-cellulite systems in the world. BTL’s Aesthetic division manufactures non-surgical aesthetic devices that represent the best in medical aesthetics, producing cutting-edge technology for body and face care. Established in 1993 in Europe, BTL as an internationally leading brand has become one of the leading global manufacturers of medical devices with over 2 decades of global presence in the marketplace with over 52 offices worldwide. The BTL manufacturing and R&D facilities with over 120 engineers have been ISO 13485 and Canadian CMDCAS certified. The BTL products are CE marked and many of them have been cleared by the Health Canada, US FDA, as well as by a number of other regulatory bodies. The BTL products for physiotherapy are represented by electrotherapy, lasers, ultrasounds and magneto therapy devices. 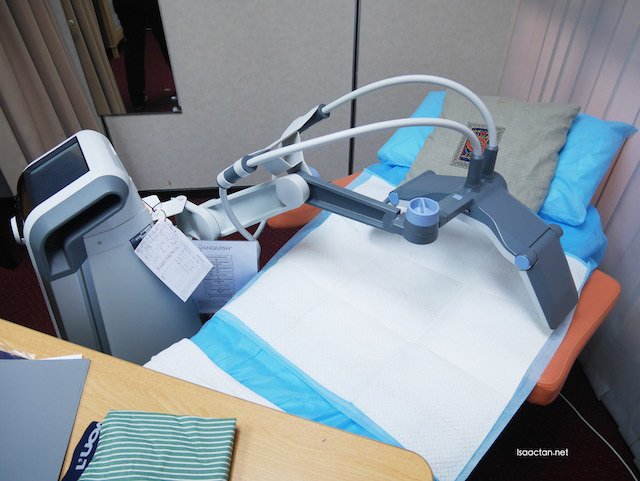 Its latest innovations include shockwave therapy and high intensity laser product lines. BTL’s cardiology devices, including those for spirometry, consist mainly of a wide range of electrocardiographs, holter monitors, stress-test systems, ambulatory blood-pressure monitors and spirometers. Hit the gym, young man!